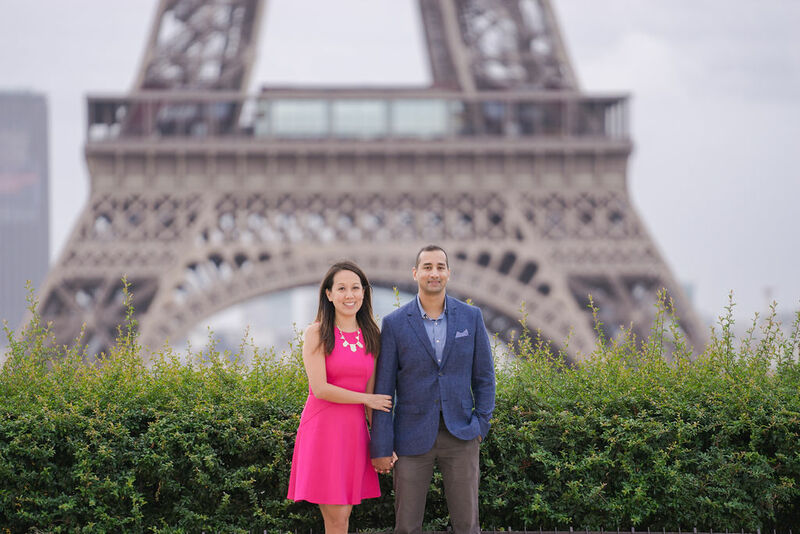 Stella & Jason came to Paris to celebrate their engagement. They decided to capture their time here with a pre-wedding mini session. 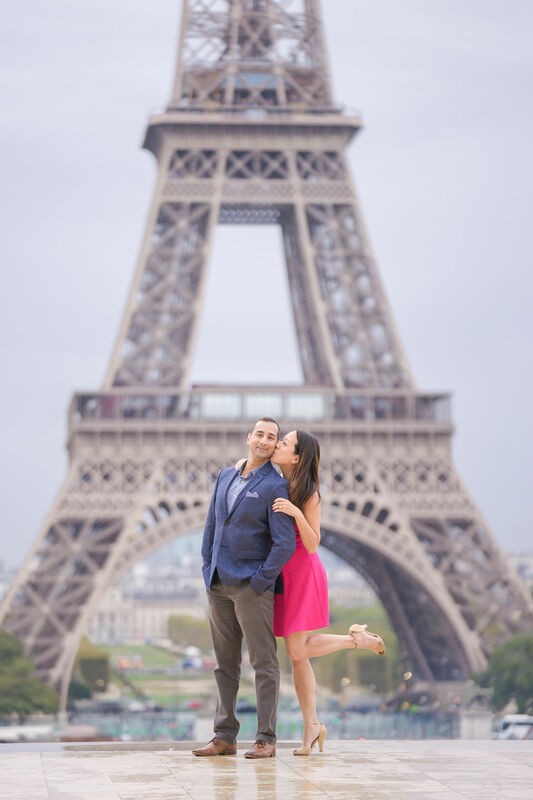 We met at Trocadero early in the morning and got some lovely shots of the two of them with the Eiffel Tower. 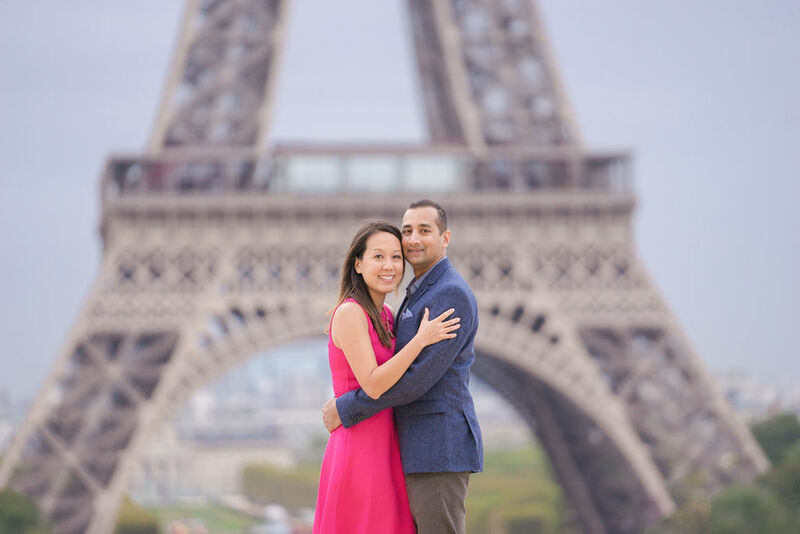 His blue jacket and her pink dress really popped on the moody grey Parisian backdrop, and the photos turned out great!